NIJL Aircraft Docking is specialized in designing, manufacturing and turn-key delivery of docking systems, mobile access stairs, stands and working platforms to the airline and MRO industry. Our solution is engineered to your specific needs, based on proven technology and embeds years of experience with MRO’s in optimizing their efficiency and reducing their total costs. As a result, NIJL is chosen for its expertise and experience by airlines and MRO’s around the globe. 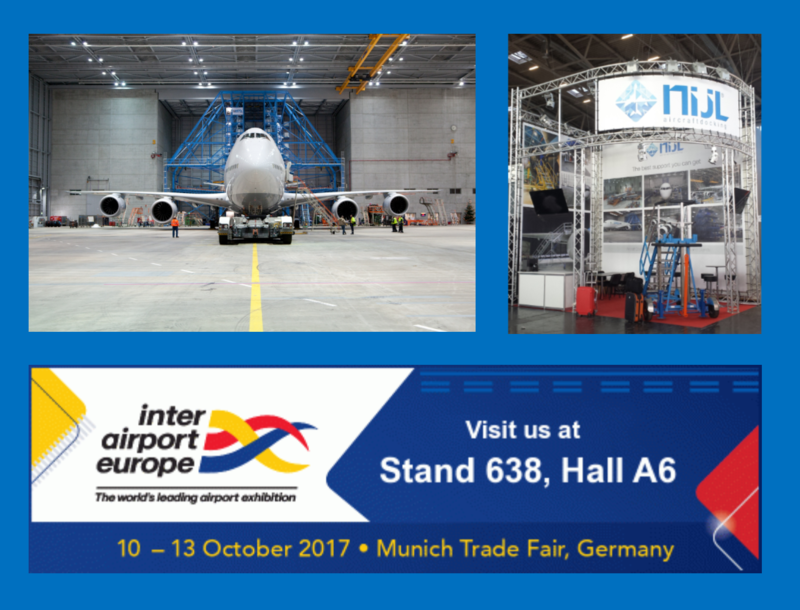 Get free tickets now and visit us at Inter Airport Europe 2017 to discuss your aircraft access issues!